House Democrats pushed legislation during a hearing Thursday that would require presidents and presidential candidates to release tax returns in order to get President Donald Trump’s tax returns. 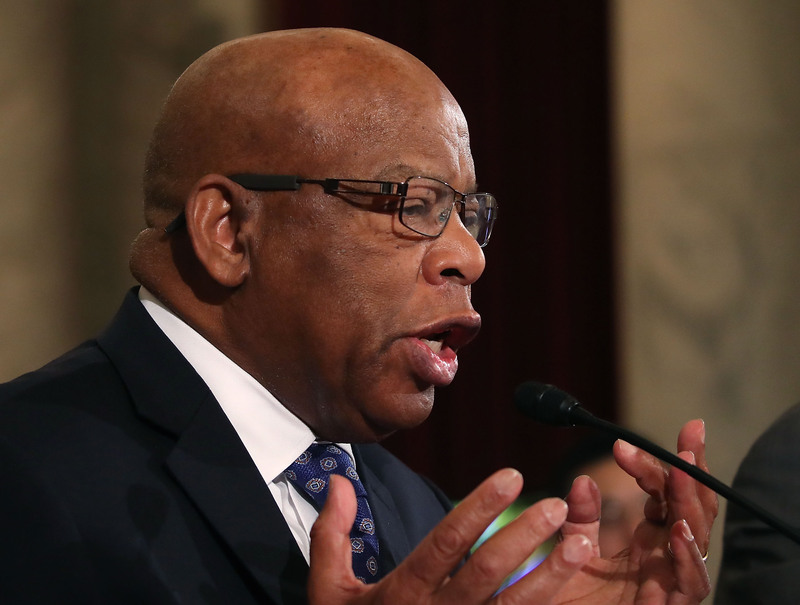 Lewis is the chair of the oversight subcommittee of the House Ways and Means Committee, which held the hearing — its first on the subject of presidential tax returns. House Democrats have threatened to go to the extreme of seizing Trump’s tax returns after outcry when Trump bucked four decades of precedent by opting not to release his tax returns during his 2016 campaign. Trump has released lengthy annual financial disclosures, which are required by the Ethics in Government Act of 1978, according to the Center for Responsive Politics. Democrats, however, say they need his recent tax returns to check on his charitable giving, foreign ties and more. The White House also released Trump’s 2005 tax returns showing he paid $38 million in taxes. Republican Ohio Rep. Brad Wenstrup pointed out that the president and vice president are audited by the IRS every year. Now that they have taken back the House, Democrats are split on how to go about obtaining Trump’s tax returns. House Resolution 1 is unlikely to become law. They could use the “committee access” provision, which lets the tax writing committee request any taxpayer’s tax records from the Treasury secretary, reported NPR. Others like New York Rep. Hakeem Jeffries want to focus on issues that will more directly affect the American people, like health care. Ways and Means Committee member Rep. Ron Kind, a Wisconsin Democrat, said he has “gotta believe” special counsel Robert Mueller already has Trump’s tax returns and is looking into any foreign ties, reported NPR. The disconnect has progressive and freshman lawmakers worried since many of them campaigned in part on going after Trump’s tax returns.